Hide deals from seller "Castro Hand Car Wash"
Hide deals from category "Car Wash & Detailing"
Limit 1 per person. Valid on a complete interior and exterior hand car wash. For small to full-size vehicles; additional $2 charge applies for SUVs. Promotional values expires 60 days after purchase. Keep your car looking worthy of the showroom with 50% off a complete car wash from Castro Hand Car Wash in Des Plaines ($14 value). This deal includes an exterior hand wash as well as comprehensive interior cleaning. 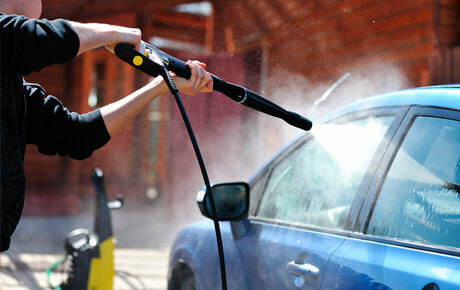 Castro Hand Car Wash is a professional car care center that provides excellent customer service and high-quality work. The dedicated staff will pamper your vehicle by carefully washing it with a pH-balanced soap that's safe for all paints. They'll also hand-dry the exterior with soft towels and clean the tires and rims for a shiny, streak-free finish. Plus, the interior of your vehicle will be vacuumed, and the windows, dashboard, console and door jambs will be cleaned. Treat your car to a thorough cleaning at this friendly detailing center. A car wash and detailing center in Des Plaines providing excellent service and thorough car care.